Cruising Conversations with A Daring Duo! 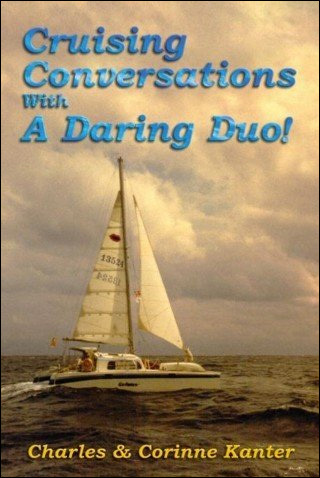 Passion for a life of adventure; a love for adventuring under sail, leads our dynamic duo to prowl the waters of the Atlantic Ocean island chains and the waterways along the shores. Their 'chariot' of choice, a 32 ft catamaran sailboat. Having fulfilled their dreams of industry and family, they figure out a way to enjoy the freedom of their lifestyle without forsaking the responsibility of family. This is a peek into the varied life of a couple of city kids who dared to be different. Kids, forever young, that took whatever life tossed at them and made it great.